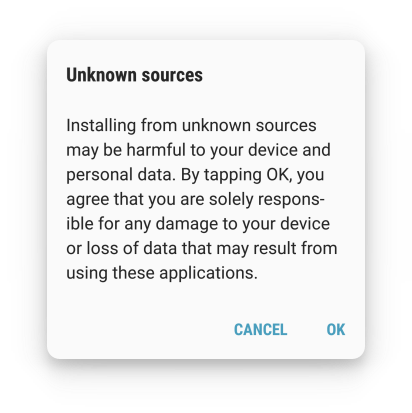 The difference between using TutuApp and “ROOTING” is that rooting can potentially open your Android device to all sorts of security threats and it will void your warranty; TutuApp does neither. TutuApp doesn’t just offer you the free apps you can already get from the play store. You also get a vast selection of stock apps modified with in-app features and extra functionality, all free. This is what makes TutuApp the most popular installer with 1,00,000 + of users the world over. To download TutuApp onto your Android device, you must first download the APK (Application Package File). Please make sure these steps are followed as written; otherwise, we cannot guarantee success. On your device, download the TutuApp APK file from the download button above. Enjoy the various categories of apps and games organized based on user interest and Top Trending apps and games for faster download. Because TutuApp is not an official app, the Google Play Store will revoke the app certificate within a week of you installing it. To stop this from happening, you can download a tool called NessTool, which will protect the certificate and prevent it from being revoked. Click the link for more details and a download guide. As an Android user, is TutuApp an installer you would want to try ? Let us know what you think of it and if you run into any trouble downloading it. For more tips and tricks for your Android device, follow us on Facebook. hi… how do i want to recharge diamond in pokemon tekken? im use paypal still cant purchase it..
Terima kasih kerana komen anda. Ya, ia dibatalkan sedikit masa. kita berada di atasnya, dan akan memperbaikinya seketika.